The perenniality of the vampire genre derives from its capacity for reinvention. Its form mimics its content in similar fashion to the zombie genre, each transcending death. In Only Lovers Left Alive, the immortality of Jarmusch’s vampire couple is a perfect foil for retrophile hipsterism. They are afficionados of a lapsed cutting edge – analog technologies, first edition guitars, a dash of Tesla tech for colour and in the garage is a perfectly-poised-between-eras XJS Jaguar. They disdain contemporary ephemera and are content to await its fall and passing. So time is on their side in one sense but against them in another. 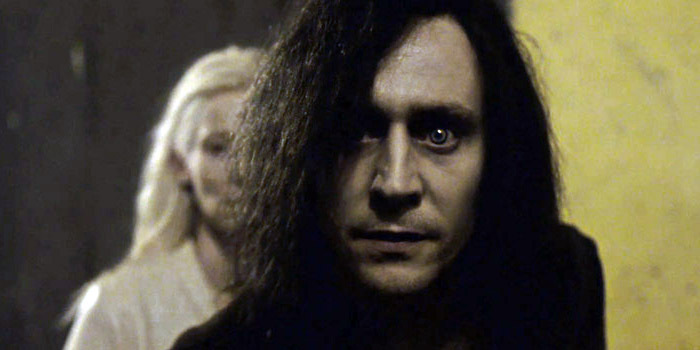 Adam is played by Tom Hiddlesmith (Loki) as something approximating the agoraphobic character Turner from Cammel and Roeg’s Performance. When ennui strikes, he and his girlfriend Eve (Tilda Swinton) meet up in Detroit, after a few decades apart. When things go awry, they go back to her place in Tangier. Plot-wise there’s not a lot more to it. Only Lovers Left Alive takes its time. It may irritate some but delight others, who will return to bask in its sunless bohemian langour.